Landlords must remember 6 issues, BEFORE comencing a Tenancy. If not, as a result, financial implications and delays in Possession can arise. 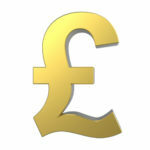 – The Deposit scheme’s PRESCRIBED Information must be served (prove you’ve done this) on the tenant. Plus anyone else who provides the funds for the deposit. How are you going to know if its the tenant’s money or from the ‘Bank of Mum & Dad’? 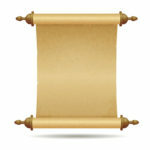 Certainly, ask for it in a recordable form, e.g. email. What is ‘Prescribed Information’ (known as P.I.)? Well, it differs according to what deposit scheme you use. With the Deposit Protection Service, there is a link to ‘Prescribed Information’ which is an 8 page document full of text. On page 2, the landlord must complete contact details for the tenant and a forwarding address [ Family ? ] after the Tenancy. If using ‘My Deposits’ the P.I. consists of the deposit protection certificate AND a leaflet called ‘Information for Tenants’. Whichever scheme you use, look these up and become familiar with them. Every property (apart from Houses of Multiple Occupation with individual tenancy agreements) must have a valid EPC [ lasts for 10 years ] before you can advertise it for sale or rent. 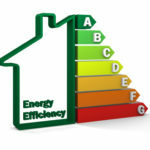 A copy of the EPC needs to be given to a prospective tenant before or at the start of a tenancy in England, commencing or renewed after 1st October, 2015. 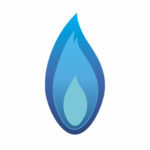 A landlord must have a Gas Safe qualified plumber to issue a Landlords Gas safety certificate every 12 months. A Landlord must provide this to the prospective tenant BEFORE the tenancy begins (England & Wales – The Gas Safety Installation and Use Regulations 1998, Section 36, 6b). Furthermore, after a tenancy commences, the Landlord must give a copy of the Gas certificate to the tenant within 28 days of its issue [keep copies for at least 2 years]. 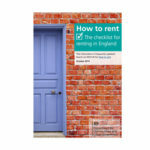 For tenancies issued or renewed after 1/10/15, the Landlord must provide the current version of the H2R booklet – (https://www.gov.uk/government/publications/how-to-rent ~ HTML version) to Tenant[s]. 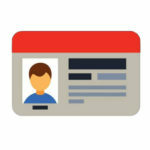 If you or your property requires a license (throughout Wales and in many Local Authority areas in England – check if your council requires Additional or Selective licensing; or use www.getrentr.com – or a Mandatory HMO license, 3 stories and 5+ occupants). Also a Landlord MUST have the required license before they can validly serve a Section 21 notice.